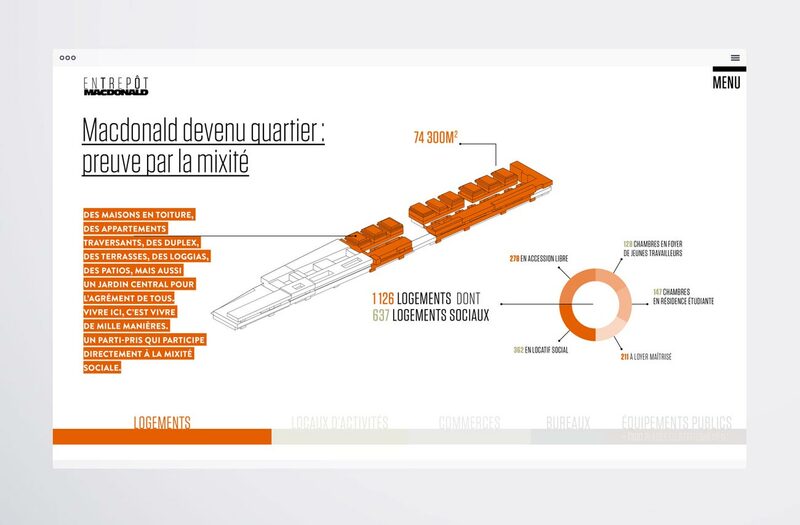 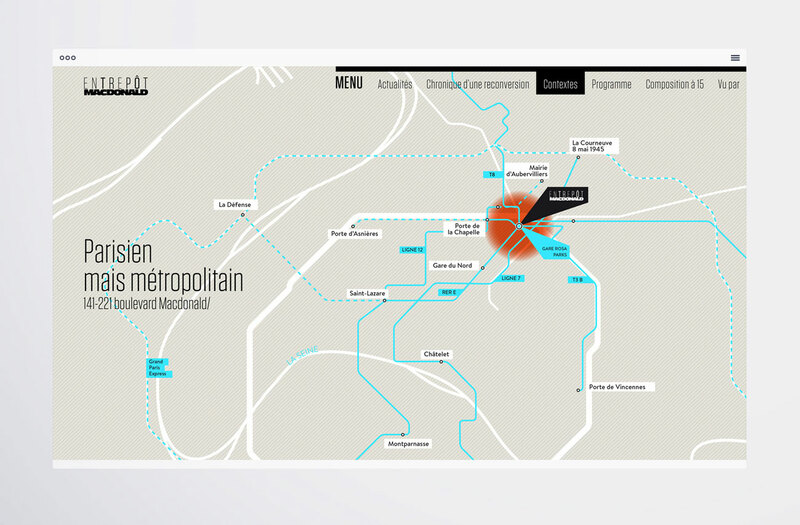 The "Entrepôt Macdonald" is a huge real-estate project in the heart of Paris. 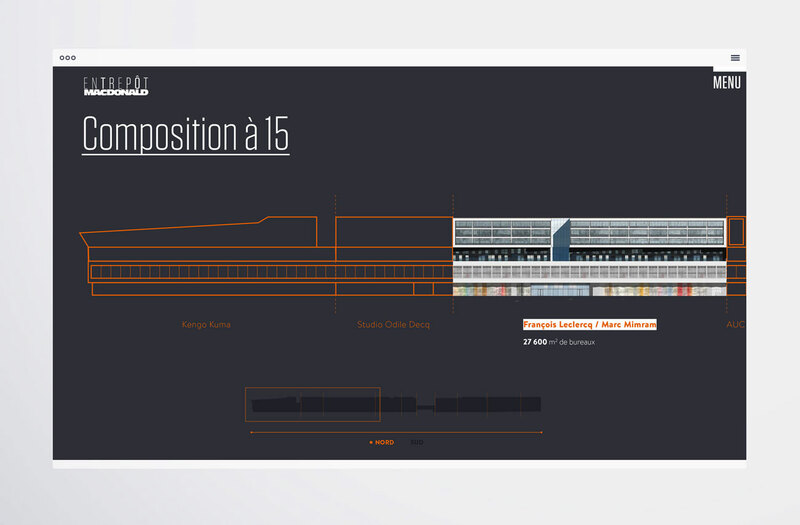 A collaboration of fifteen architectes ! 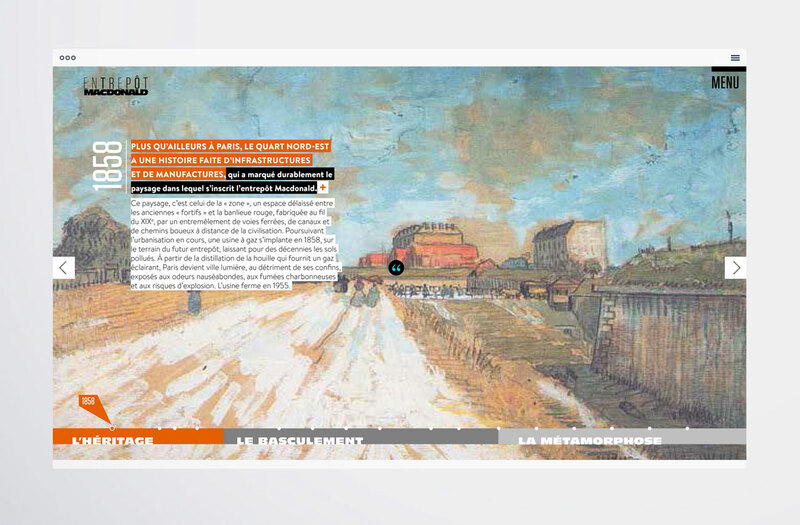 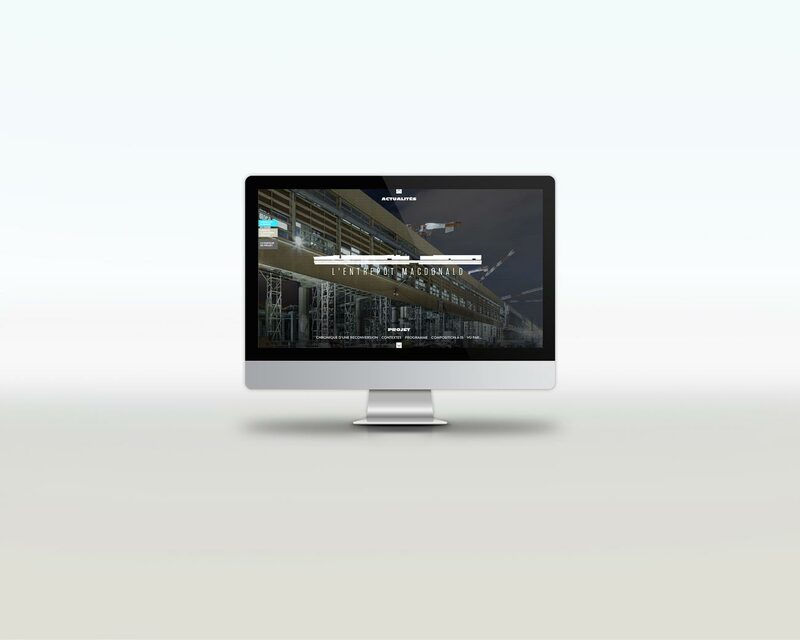 To present and inform about the project, they decided to build a creative website.